The Traditional Javanese back massage which works on muscle and nerve pathways to encourage blood circulation and aids in removal of toxins by way of stimulating the lymphatic system and also helps to reduce in muscle tension which related to stress. This exfoliation helps to eliminate dead skin cells and impurities, aids in desquamations, smoothen and nourish your skin. Leaving your skin perfectly soft and silky. 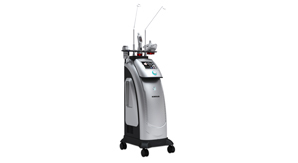 Radio Frequency technology works by increasing not only skin surface but also body temperature up to 50C or even up to 70C to target the deep layers of skin and breaking down fat cells, thus being completely non-invasive and non-surgical. In fact, the treatment feels a little bit like having a warm massage and is completely safe. Collagen rebuilds beneath surface skin, making it tighter, while fat dissolves away. Therefore Radio Frequency Treatment acts as an advanced firming and slimming treatment that effectively combats fat cells, cellulite and "orange-peel" looks. It works best on areas such as stomach, thighs, buttocks, arms and neck. Pre-natal massage is a form of therapeutic bodywork that is geared to meet the unique needs of the pregnant woman. It helps to promote better function of muscles and joints; pre-natal massage also helps to improves circulation and overall body tone. Additionally, pre-natal massage decreases mental and physical fatigue as well. A postnatal massage is what you need to lift you up and rejuvenate your mood. Post childbirth can be a challenging time for you, with the growing demands of motherhood. A postnatal massage will helps you to relax your body and mind as you go about fulfilling the duties of being a mother. With a nourishing postnatal massage, it greatly helps in helping your uterus adjust back into normal shape and it also helps at easing the stress and tension trapped in your muscles, and consequently helps in releasing mental as well as emotional tension. It works by encouraging circulation and lymphatic drainage thereby detoxifying and contouring the body. 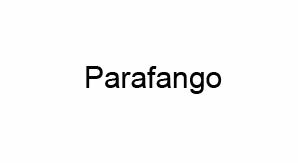 Parafango combines mineral rich sea mud and paraffin in a powerful restorative body mask with a geothermal effect, producing an increase in body temperature that stimulates circulation and the elimination of toxins, including unwanted fat stores, from the tissues.